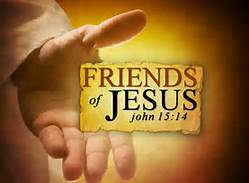 Godly Witnesses- Friends of Jesus was started to spread the gospel of Jesus, God’s son. The name was chosen because Jesus called us Friends. He is not only our Lord and Savior but he cares about each and every one of us. Our job as Christians is to care about others as we do a friend. If we truly care about the world as Jesus did, then we should care enough to tell others about Christ. John 3:16 says, “For God so loved the world that he gave his only begotten son, than whosoever believeth in him, should not perish but have ever lasting life.” Not one person on this earth is perfect, we are all sinners saved by grace. The only requirement to join God’s family is to repent from your sins and call upon Jesus. Ask him to forgive you of your sins and he will; then surrender your life to him. I do not take this ministry lightly but wholehearted to the Lord. I may have those that will fight against me but the Lord knows my heart. I pray that I will do his service and not my own. I pray that everything I do will be for his glory and for the work of the ministry of Christ. I will not compromise my beliefs to gain status or recognition from others. I will not deny the reason for this ministry which is to spread the gospel of Jesus Christ. There is one God, eternally coexistent in three Persons: God the Father, God the Son, and God the Holy Spirit. In the Deity of our Lord Jesus Christ, in His Virgin Birth, in His Sinless Life, in His Miracles, in His atoning Death on the cross, in His Bodily Resurrection after three days, in His Ascension to the Right Hand of the Father. In the Blessed Hope–the Rapture of the Church at Christ’s Coming. The only means of being cleansed from sin is through Repentance and Faith in the Precious Blood of Jesus Christ; there is no other way to Heaven.